Prominent non-governmental organizations have sent South Korean President Moon Jae-in a joint letter ahead of his upcoming summit with North Korean leader Kim Jong Un containing proposals for issues that should be addressed. The two Koreas currently go to great efforts to stop their citizens viewing and listening to broadcasts from the other country. 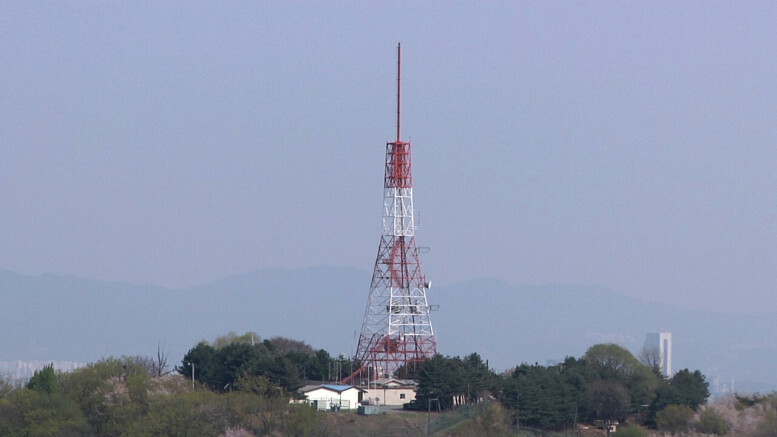 In South Korea, a network of transmitters near the border block out FM and TV signals and saturate most North Korean mediumwave broadcasts with heavy noise so they become difficult to listen to. North of the border, the government prohibits all consumption of foreign media and has dished out stiff penalties to people caught listening to radio and TV signals from overseas. Despite this people try, although its unclear how many regularly listen. The penalties involved also appear to change with the political winds and sometimes people have reportedly avoided punishment by paying bribes. So free broadcasting of South Korea’s KBS and North Korea’s KCTV would be amazing if it ever came to be, not just because it would reverse years of jamming but because the two channels couldn’t be more different. South Korean viewers would be treated to a channel that’s on air for about 8 hours per day and is heavy on propaganda, revolutionary documentaries, breathless news updates on Kim Jong Un and other similar fare. North Korean viewers would have their eyes opened to a 24-hour channel that broadcasts the full range of news, sports, culture, education and variety with slick graphics and all the polish of a major broadcaster. Interestingly, the letter doesn’t call for South Korea to lift its block on North Korean websites or for North Korea to offer Internet access to its citizens. In fact, it doesn’t mention Internet access at all. There are 40 signatories to the letter including Amnesty International, The Committee for Human Rights in North Korea (HRNK), Human Rights Watch, Liberty in North Korea (LINK), NKnet, North Korea Freedom Coalition, North Korea Strategy Center (NKSC) and Unification Media Group.